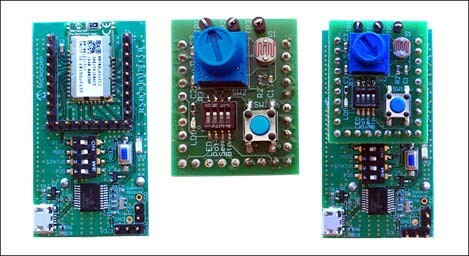 This article describes the hardware and software requirements for the BM70 Compact Demo Board (CDB), part number: BM-70-CDB. The BM-70-CDB enables the designer to evaluate and demonstrate the capabilities of the BM70 module. MCP2200 USB to UART bridge for plug-and-play connectivity to host PC. For more information on the BM70, refer to the “BM70/71 Bluetooth® Low Energy Module Data Sheet” (DS60001372) and the “BM70/71 Bluetooth® Low Energy Module User's Guide” (DS50002542), which are available for download from the Microchip product web page at http://www.microchip.com/BM70. The BM-70-CDB is a versatile evaluation board for developing and prototyping Bluetooth Low Energy data applications. It can be powered via USB host or through the coin cell battery. The BM-70-CDB uses the BM70, a fully certified Bluetooth 4.2 Low Energy module. The BM-70-CDB provides USB connectivity to connect to a host PC, a PC terminal utility and smartphone apps to evaluate both BLE serial data connections and custom BLE services. Embedded MCP2200 USB-UART bridge which provides the programming interface to update firmware and configuration settings.